Airlines can no longer rely solely on ticket sales but must offer a more personalised experiences to their customers. But, good results unfortunately do not wipe out the challenges that airline companies still have to face such as security, environmental impacts, political unrest and oil price increases. Oil prices are increasing, and global traffic growth is expected to slow in 2017, according to the IATA — a slowdown that is particularly likely if GDP growth remains sluggish. Both trends would make it harder for the industry to maintain recent high levels of profit per passenger. Add to this the drop in airfares due to severe competition and higher consumer expectations. According to PWC, to capture top-line growth in this competitive environment, airlines need to incorporate the best of what the so-called channel consolidators do and offer holistic and attractive travel distribution programs. They need to ensure that their direct distribution channels (primarily websites and phone banks) and loyalty programs can deliver personalised service and offers to business and leisure customers. Simply put, airlines must combat ticket commoditisation by developing, alone or in partnership with global distribution systems, enhanced merchandising applications that will allow them to cross-sell and upsell using their privileged access to millions of global travellers. The airport is becoming a real digital ecosystem that allows for the exchange of information, following established protocols, not only among the various internal actors but also broadly interacting with the entire territorial system, gathering information from the outside world – including regions, tourist operators, mobility companies, air carriers, territories, hotels, and others. Carriers cannot afford to focus solely on ticket sales, leaving other companies to pick up the ancillary revenue — including lodging, rental cars, entertainment, and personalised itineraries — that surrounds the flight. To do so, airlines will have to build digital capabilities, integrating customer data they collect into a complete view of the traveller, transforming the insights yielded by this data into compelling, personalised offers, and constructing an interface and apps that make them stand out in a crowded market. The airline industry will have to manage the integration of information across all channels and change the mindset of protecting their data at all costs. IATA’s New Distribution Capability (NDC) is an effort to remedy this problem by offering a new XML-based messaging standard to give travel agents richer content via GDS. This will enable the airlines to make customised offers via travel agents and help bridge the gap between the commoditised information currently available to the agents and the full content available on the airlines’ websites. CX networks represent a key enterprise and technological movement in which omnichannel plays just a small part. 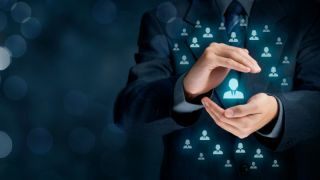 According to IDC and Axway, a customer experience network enables an organisation to connect and embrace co-innovation from all entities a customer may encounter along the purchasing journey. Customers, employees, business partners and suppliers collaborate and co-innovate to deliver improved, more holistic experiences. And although many airliners have invested their time and capital into establishing omnichannel communication and data connectivity, as they should, few have taken it to the next step. But now is the time, as the idea of airlines living in data silos becomes increasingly outdated it is time for change. Through a combination of the internet and other technology, airlines form part of a broader ecosystem. Think of the parties involved to deliver goods ordered from Amazon, for instance. Airlines are no different: today’s customers use the internet, social media, and in-airport technology for every flight. So what is a CX Network and how can you implement one?